Hey everybody and happy September! 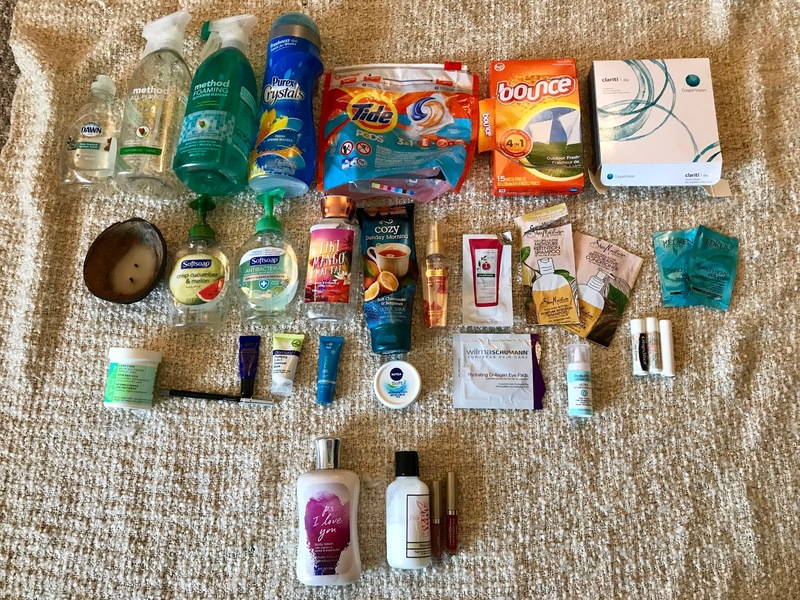 I wanted to share my empties and decluttered products with you today. I finished up quite a few products in August and I honestly was pretty close to finishing several others before the end of the month- those will just have to wait until the end of September! First lets start with the products I've decluttered. First up is P.S. 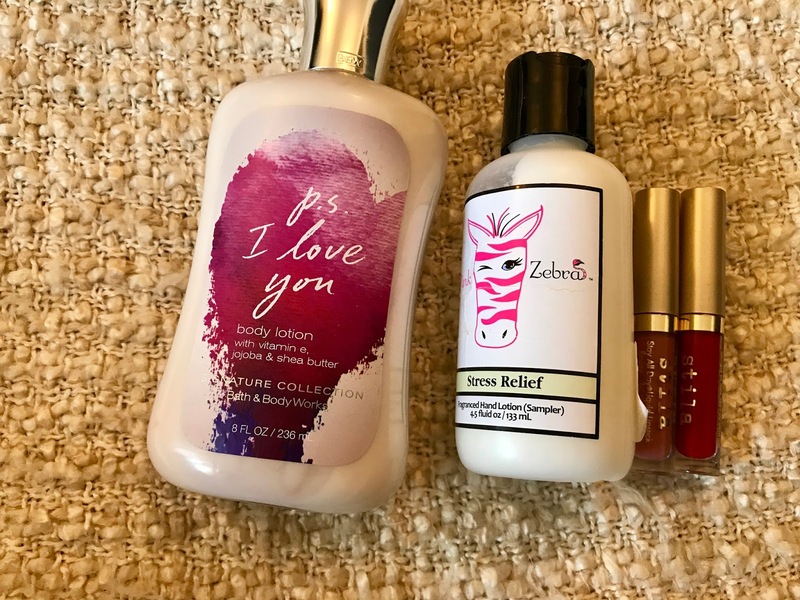 I Love You by Bath and Body Works. I've been holding onto this lotion forever and I just can't bring myself to use it because it smells like old lady! It is SO floral and strong that it gives me a headache. I've also let it get super old so it's honestly kind of gross at this point. Second in line is Stress Relief by Pink Zebra. At first this just smelt minty to me and I thought it was great until about thirty minutes later I smelled something terrible and realized it was my skin! I was so disgusted I knew I needed to just toss it. It's never worth it to me to use something I really hate, if I don't like it why waste my time? Lastly I have two Stila Lipglosses that felt super gross on my lips. They were super wet and sticky and I couldn't bring myself to keep them on my lips- so they will be tossed! 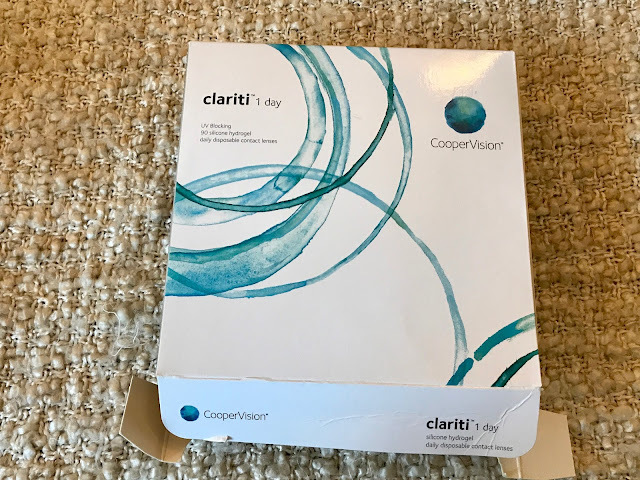 I've been wearing these Clariti Daily Contacts and they truly make my eyes feel amazing. I was wearing monthly contacts and my eyes always felt dirty so this change has been one for the better! 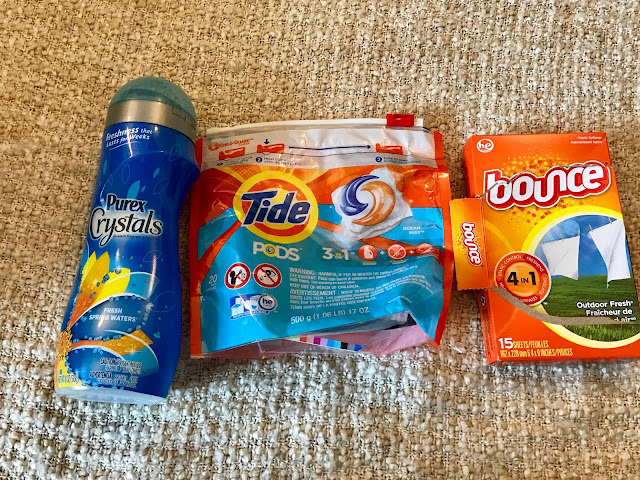 In the laundry world I used up three of my favorites; Purex Crystals, Tide Pods and Bounce Dryer Sheets. 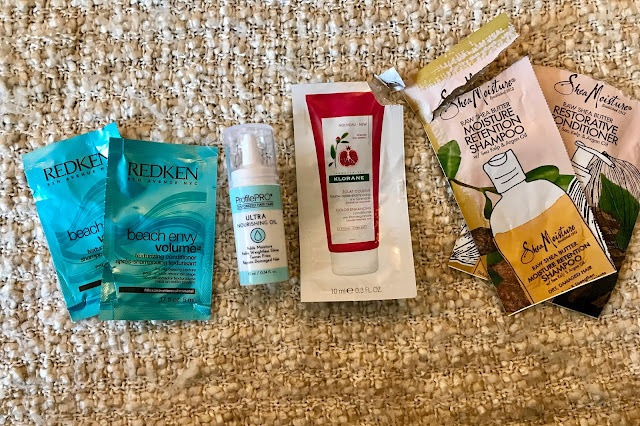 All three are incredible and I will continue to repurchase them in the future. 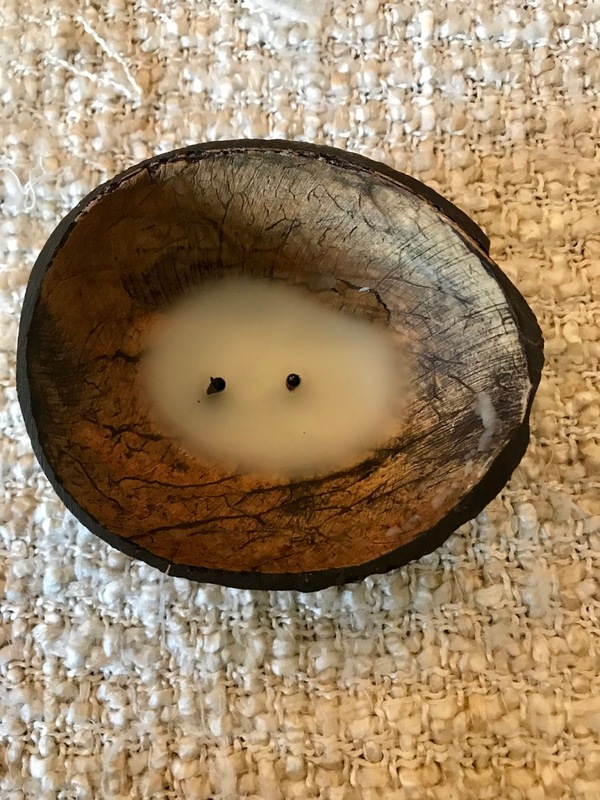 I finished the second of my two coconut candles. I do really like these but would definitely not go out of my way to purchase them in the future. They burn out too quickly and are a nice gift but not something I need to have around all the time. 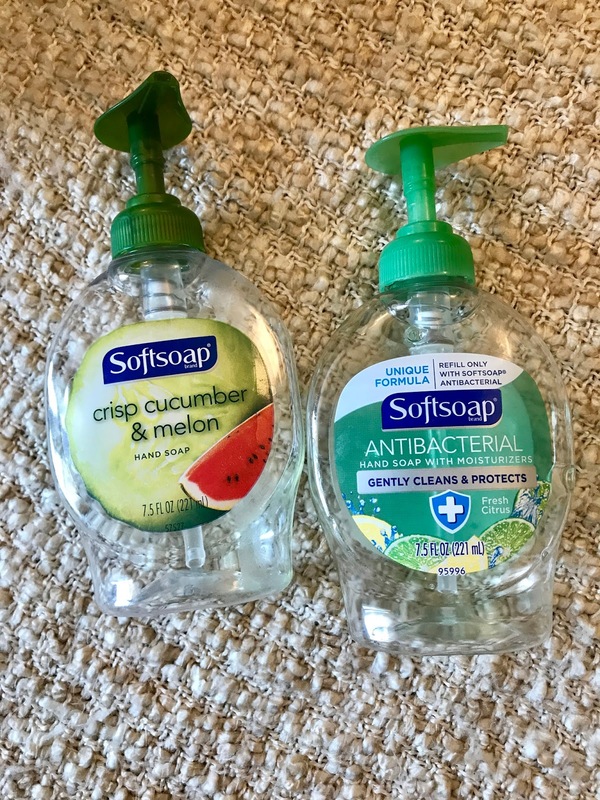 I finished up two Softsoap hand soaps. One is fresh citrus and the other is crisp cucumber and melon. I thought the melon one was the nicer of the two but definitely prefer Bath and Body Works soaps to these since there are so many different scents. 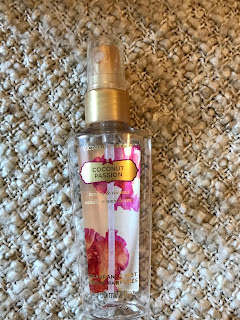 I used up this mini Victoria's Secret Coconut Passion Body Spray which I liked but didn't love. I am trying to use up most of the body sprays in my collection since I love the perfumes I have. Earlier this month I shared my collection with you here and this body spray was absent since it was already in my empties! I managed to finish up quite a few makeup and face empties. The Cargo eyeliner was great and something I would consider repurchasing again although it did go rather quickly. 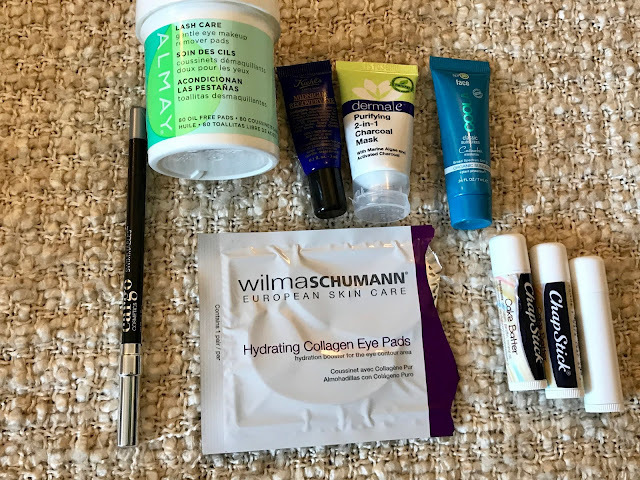 I loved the WilmasShumann Collagen Eye Pads and thought they made my my under-eye area feel so much smoother. I would definitely consider something else like this in the future. I finished three Cake Batter chapsticks this month and it's still my favorite lip product! 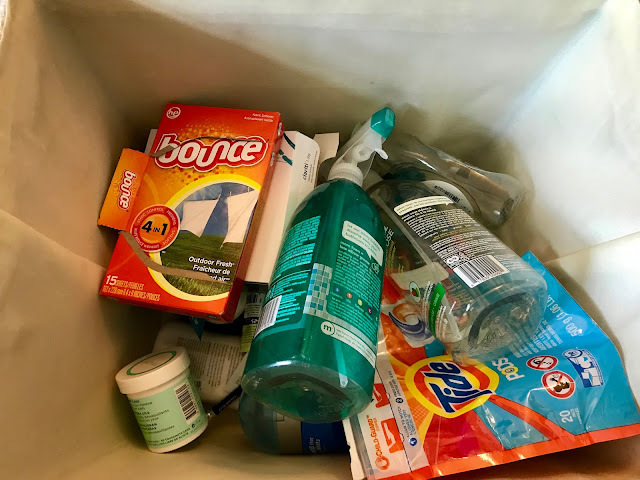 I love the Almay Lash Care makeup removing wipes. I usually only wear mascara and eyeliner to work so this is great a removing my eye makeup without stinging my eyes. Kiehls makes an amazing Midnight Recovery Eye Cream, it's so creamy and moisturizing I would definitely purchase this again in the future! I also really enjoyed the Derma-e charcoal mask which I used while relaxing in the bathtub a few weekends ago. Charcoal seems to do wonders for my skin. Lastly in this picture is Coola Classic sunscreen which I applied to my face before we went kayaking and I absolutely love. 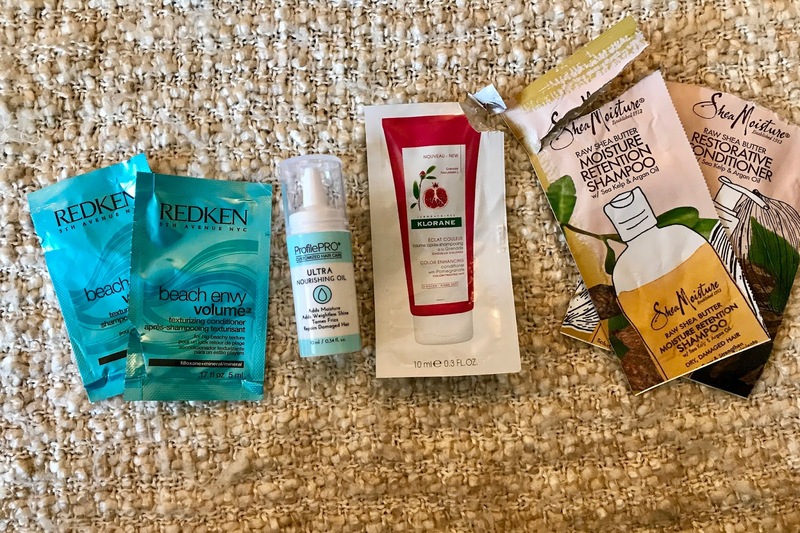 It works great at protecting my skin and it feels good on! I have been using this Dawn New Zealand Springs dish soap for the last few months and love the scent. I will definitely pick this up again in the future. The Method cucumber all purpose cleaner is great and was my favorite scent until I found the ocean scent! I can definitely see myself repurchasing this in the future. 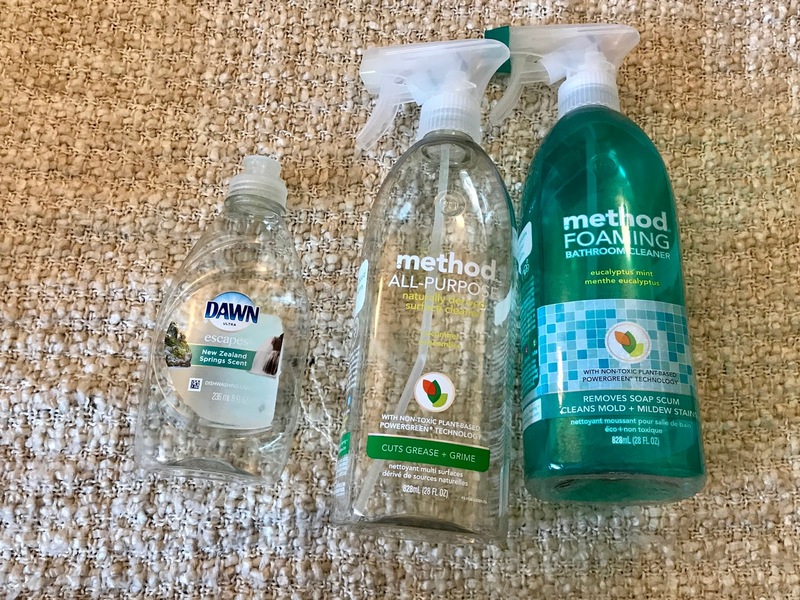 I didn't love the Method bathroom cleaner and will be looking for other alternatives to try. Bath and Body Works Tiki Mango Man Tai just smells so tropical and I love it! I will continue to purchase tropical scents from Bath and Body Works. Cozy Sunday Morning is another story... this scent was AWFUL! I hated every second of it and have no idea why I thought it was so great in store. I am struggling through the body wash right now. I do like the tea part of it but I guess I don't enjoy bergamot! Lastly I finished a Nivea soft cream which was a small sample size but an awesome lotion that just felt really luxurious! So that's everything guys! I'm off to recycle all these containers and toss all the trash! Have a great day!